$389.99 & FREE Shipping on orders over $59. Get started with the best package on the market - the Behmor 1600 plus beans and accessories. Check out our review of the Behmor 1600 for more information! 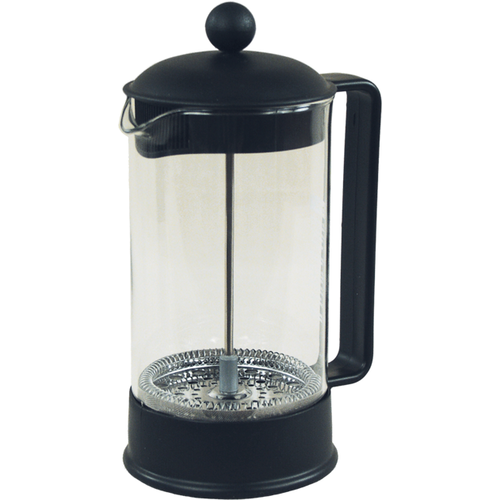 This kit includes a stylish Bodum 8-cup French Press - a truly gourmet method of brewing specialty coffee. Also included is "Home Coffee Roasting: Romance and Revival" - an excellently written, incredibly informative, and authoritative book written by Kenneth Davids (a big name in the coffee industry). 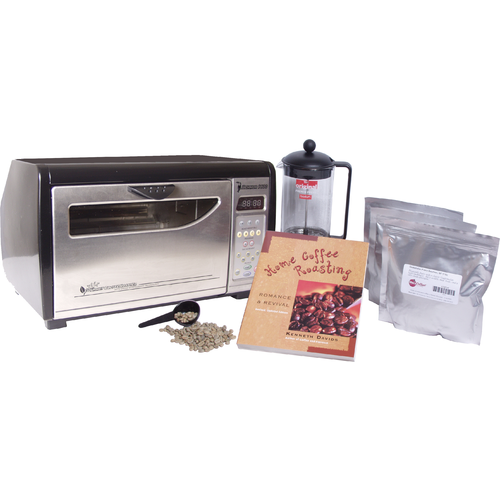 In conjunction with our quick tutorial on coffee roasting, included with the starter kit, you will be roasting like a pro in no time! The kit is titled with Behmor 1600 Plus, but the description in the tablet below it references without the Plus and links to a review for the plain 1600. Can you verify this is the 1600 Plus? I would highly recommend this product. I’m still learning about roasting but this machine is a good beginner to intermediate level. It has set roasting profiles so you can set it to where you need. But you can’t forget it you have to stay with the coffee through the whole process. Getting this roaster has been wonderful. I had a previous and more expensive roaster and was frustrated with the lack of control, especially when I wanted to get my roast out of the heat during cooling. I'm happy that the Behmor allows me to do so. The documentation is actually very useful and helpful too. MoreCoffee shipped this out a day later from when I ordered and with free shipping, I was happy with that. It arrived well packed and I like the included green coffees. You really can't go wrong at this price point for everything you get.